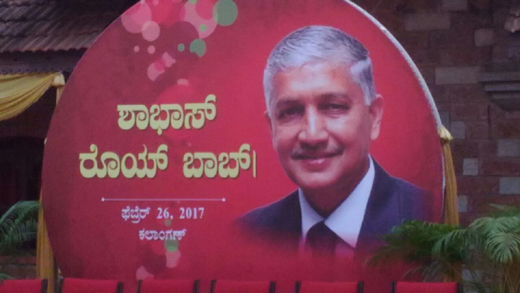 Mangaluru, Feb 27, 2017: KKSA, Karnataka Konkani Sahitya Academy’s Roy Castelino, who laid down office as President was given a touching felicitations and farewells at Kalangann, Shaktinagar, Sunday, February 26. Roy Castelino in his very enthusiastic branded of fiery speech expressed his heart felt views saying, “ I was selected and appointed president of the Konkani Sahitya Academy and in my three year tenure in the office you know all the work that has been done, with great sincerely, integrity and dedication. UNESCO standards say any language is classified as 1.Safe, 2.Vulnerable, 3. Endangered and 4.Critically endangered. Immaterial which dialect of Konkani one speaks the time is ripe for all y Konkani speakers to unite without preconditions. We need to reinforce with strength Konkani in the younger generation - our children of today. To retain any language or culture speaking, reading and writing are the basic essentials. The Konkani needs to positively accord importance to Konkani as a language and day to day culture and move forward. In my time of three years as the president of KKSA, I have as you know made every effort and taken all suggestions to expand and give new life to Konkani at all levels and did my best to promote Konkani at all levels. I have been now also suggested to promote writings and seminars in other languages, particularly English, regarding our beautiful ancient language, so that the youth will be better accommodated and motivated.”. 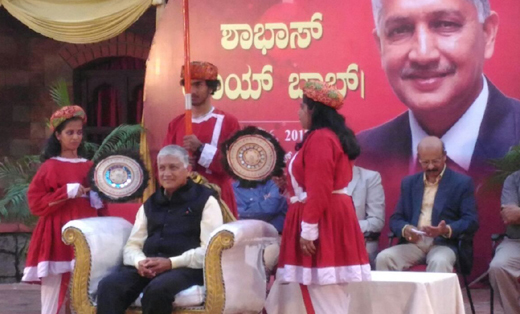 Roy Bab also said, that in his 3 years at the helm, KKSA organized more than 300 programmes and released 75 books at least, apart from many innovative ideas implemented. The Lokotsava done from Feb 20-22 at Town Hall, has served much to unite folks from 41 Konkani speaking communities under one umbrella which is the hallmark of the last 3 years. It is essential to be together and united to strengthen Konkanni mother and keep alive her ethos. Children must get an example and all encouragement to take Konkani in school. Children must read, write and speak Konkani for mother tongue Konkani will develop. 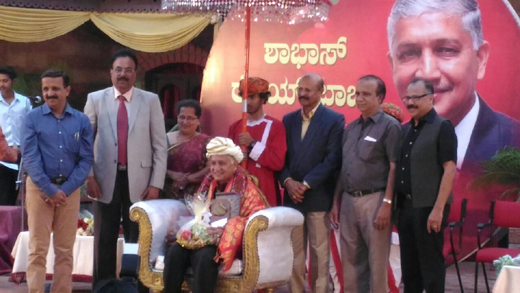 Well-known Konkani writer CJS Taccode opened the programme, Roy Castelino was felicitated by entrepreneur Albert D’Souza, Narendra Nayak, Louis J Pinto, Eric Ozario and others with a Peta, garland, citation, memento and fruit basket for his unique services through many years for Konkani in a big way. Albert D’Souza, Narendra Nayak, Staney Fernandes, Prakash Shenoy, Dianisia Castelino were present. Smitha Shenoy compered the programme the participation at Kalangann was unprecedented and will be remembered for long .